Learn more about The Trevor Project. In 2016, after the election, I found myself struggling with what looked like a very bleak future. Like other authors, I had trouble writing. The words just wouldn’t flow. I knew we needed worlds to escape to, knew we needed positive stories to keep the hope going, but knowing something and being able to do it were two very different things. Still, I tried. I plugged away at various stories, getting nowhere. I listened to some of my fellow authors talk about how they had the same worries, the same fears. No matter what I did, however, I couldn’t get past this and just write like I needed to. But I’m not one who easily lets things keep me down. With so many programs, rights, and more on the chopping block, I wanted to do something. There had to be some way to offer hope—beyond the stories. 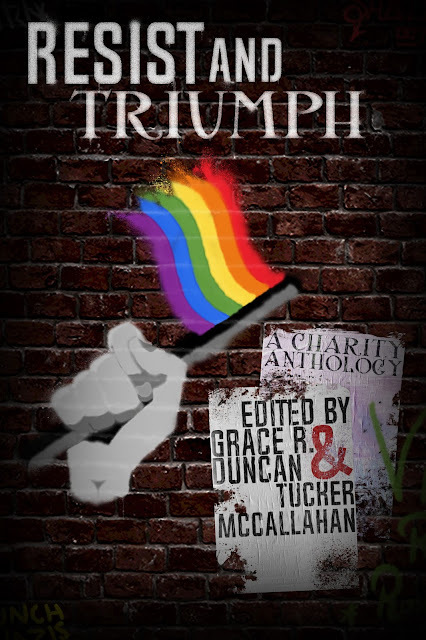 Thus the Resist and Triumph anthology was born. It was a challenge—corralling authors is a bit like herding cats—but with an amazing crew of volunteers, we’ve managed to put together a collection of stories I’m very proud of. Tucker McCallahan, despite a grueling schedule, jumped up and offered to help me organize and put together the anthology. I’m pretty sure I’d be curled up under the desk, rocking myself, if it hadn’t been for that. I also had some wonderful volunteer editors, some who would prefer not to be identified, but some who didn’t mind. Tricia Kristufek, Sara Testarossa, and Tucker McCallahan all helped to make sure the stories shone. 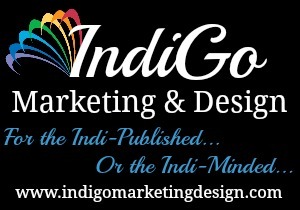 IndiGo Marketing generously contributed promotional help. And Jess Small gave a boatload of time to create a beautiful cover and promotional graphics. The authors, editors, and others who donated to this anthology look forward to sharing the hope and promise in these stories with you. All proceeds from the anthology go to The Trevor Project and GLAAD.